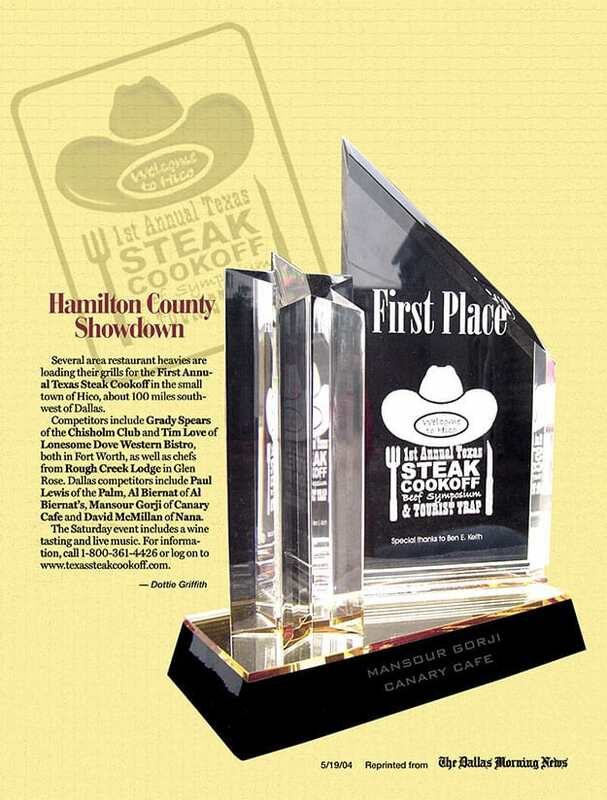 Chef Gorji, the Texas Steak Champion won the Cook-Offs the first and second years (2004, 2005) against some of the best chefs in Texas. 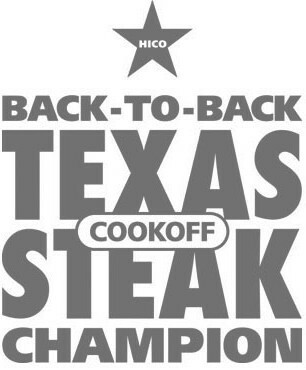 He is known for some of the best steaks in Dallas at Canary By Gorji where he has been serving steaks in Addison for fourteen years. 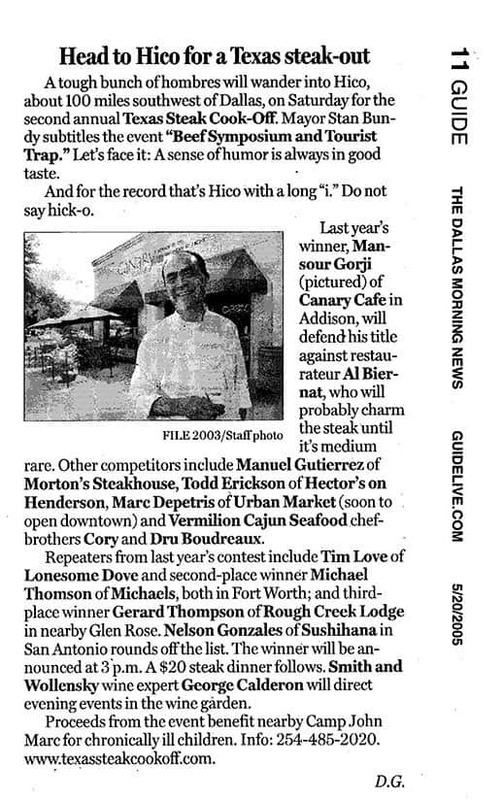 "The beef tenderloin is one of the best in the Metroplex"